MGL Licensing | MGL is one of the world’s leading art licensing companies. MGL is one of the world’s leading art licensing companies. Corel has recognised the talent of MGL Artist Katarina Sokolova and awarded her the title of Artist of the Month and Master Painter 2016. This award celebrates the skill of “talented illustrators, fine artists and photo artists who have excelled in their craft and risen to the top”. Since joining MGL, Katarina has built a loyal following of licensees who continue to license their work year after year, with great success in categories such as stationery and gifts. Please click here to see Katarina’s portfolio. Valentina has released new work for her Épale! collection which has been picked up by Euromoda in Spain for their successful bedding range. Her new designs are packed with inspirational messages and colourful designs and are perfect for a wide range of products including stationery, wall décor, gifts and homewares. To see Valentina’s portfolio please click here. Lily & Val has been one of MGL’s biggest stars of 2015. Following a successful launch in the UK with a giftware and stationery range by Portico, Lily & Val is expanding their licensing programme in Spain and Portugal thanks to a new partnership with Grupo Erik. The new product range will feature stationery, wall art, greeting cards, mugs and key rings, all showcasing Val’s distinctive style of hand made chalkboard art. Further more, L&V are currently developing an exciting range of wedding themed paper products with a major UK manufacturer, to be launched during 2016. Please click here if you’d like to see Lily & Val’s portfolio. Born and brought up in the culture-rich cities of India, Neeti is a self taught illustrator and media artist based in Toronto, Canada. Her art is inspired by Mandana – the traditional folk art of Rajasthan and consists of hand-drawn designs that include animal figures, architecture, everyday objects and geometric shapes. Her intricate designs are full of detail and lend themselves perfectly to a wide range of licensed goods such as stationery, calendars and colouring-in products. Originally from St Petersburg Russia. Irina has been living in the UK since 2000. She trained as an artist at the Academy of Baron Alexander von Stieglitz in St Petersburg and works in oil, watercolour, and colour pencil. She is a recognised published artist as well as an award winning and signature member of the UK Coloured Pencil Society. Her work has been exhibited worldwide and also licensed across the world in different product categories. Al Hogue’s love of nature led him to express his passion in art, and share what he saw and imagined. He began drawing at a very young age, but only started painting at the age of 32. He is completely self-taught. His paintings are a blend of fantasy and realism. They invite the viewer to step into the painting and feel the healing power of nature. For more information on these artists or to see their full portfolio please contact us. Carousel Calendar will be the first UK licensee for Cat & Dog, a cartoon that attempts to shine a light into the mysterious minds of our beloved pets. This new range will be available at high street and independent retailers throughout the UK and Europe in 2016. Simultaneously, the Moovie Nights licensing programme continues to expand with a new range of calendars available from Brown Trout publishing. With Nick’s flair for funny illustrations these are definitely very unique properties perfect for publishing, calendars, apparel, greeting cards and gift items. Valentina’s licensing portfolio continues to grow with new product ranges to be released at retailers worldwide. 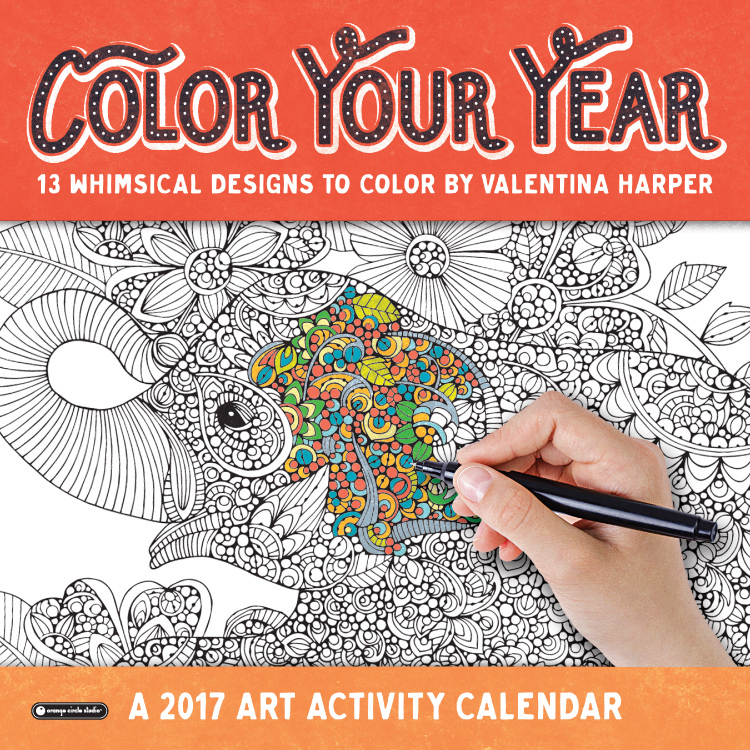 Furthermore, long time partner teNeues are extending their Valentina license to include an exclusive range of calendars featuring Valentina’s latest work. 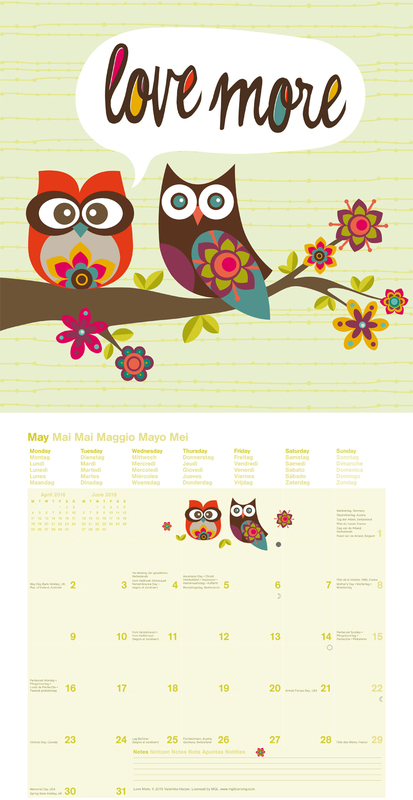 UK publisher Carousel Calendars has snapped up Katarina Sokolova for their new 2016 calendar and diary range available throughout Europe. Katarina is a Ukranian artist trained in batik painting and graphic design who works using both digital and traditional mediums. Her signature style of hyperrealistic and seductively beautiful imagery is available for a variety of licensed products including wall art, greeting cards, stationery and jigsaw puzzles. MGL are currently looking for partners in all product categories. For more information please contact us. UK based designer Sharon Turner has an eclectic background of biomedical science and interior design. Obsessed with colour, her art is inspired by her love of nature, animals and architecture. Sharon currently enjoys worldwide sales and has a loyal following on social media. Her collection of pattern designs, graphics and illustrations have already been licensed by Bed, Bath & Beyond, DENY, Urban Outfitters and Norstrom just to name a few. Her designs are now available for licensing on all product categories through MGL. 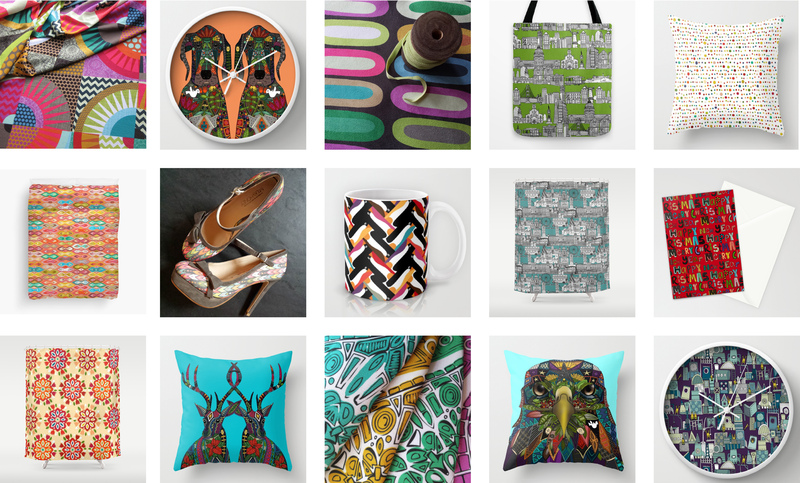 Her large portfolio includes illustrated animal art and beautiful patterns that are perfect for a wide range of products including housewares, gifts, stationery or apparel. Art Marketing Ltd images will now be represented by industry experts MGL forging a unique and exciting strategic alliance to promote their in-house artists. 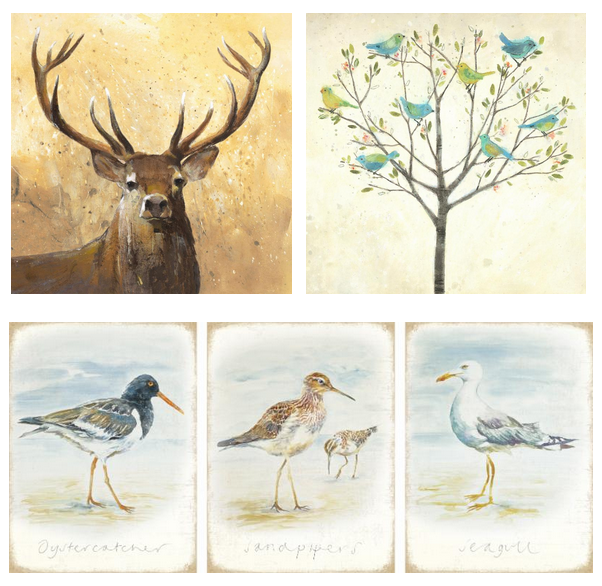 This extensive new collection will double up the MGL’s images on offer and includes a wide variety of styles, techniques and subject matter, with captivating contemporary designs from categories such as landscape, food and drink, wildlife, flowers, fashion and many others. Art Marketing’s Sales Director, Darren Runnette comments “we are absolutely thrilled to place our art portfolio in the hands of specialist licensing firm MGL Licensing in a new and exclusive deal. We have had notable success in ad-hoc licensing deals ourselves over the past few years in the gift and home furnishing markets, but this is not our core business and we are not optimising it. MGL have the contacts, Trade Show experience and infrastructure to considerably ramp up our licensing revenues and we are very excited with this new venture“. 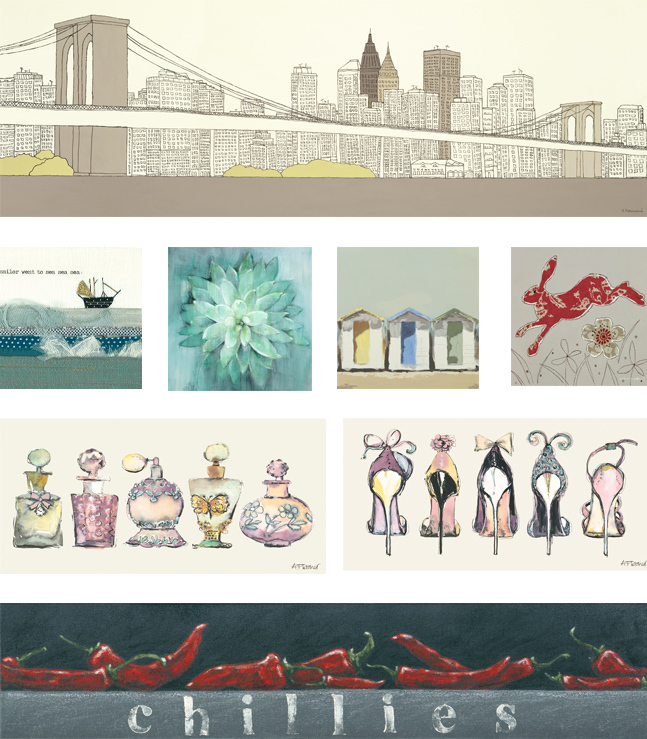 MGL will be showcasing Art Marketing’s designs at Surtex in New York from May 17 until May 19. If you are attending the tradeshow and would like to see this exciting new portfolio, please contact us to arrange a meeting. You can also visit us at our booth number 423.